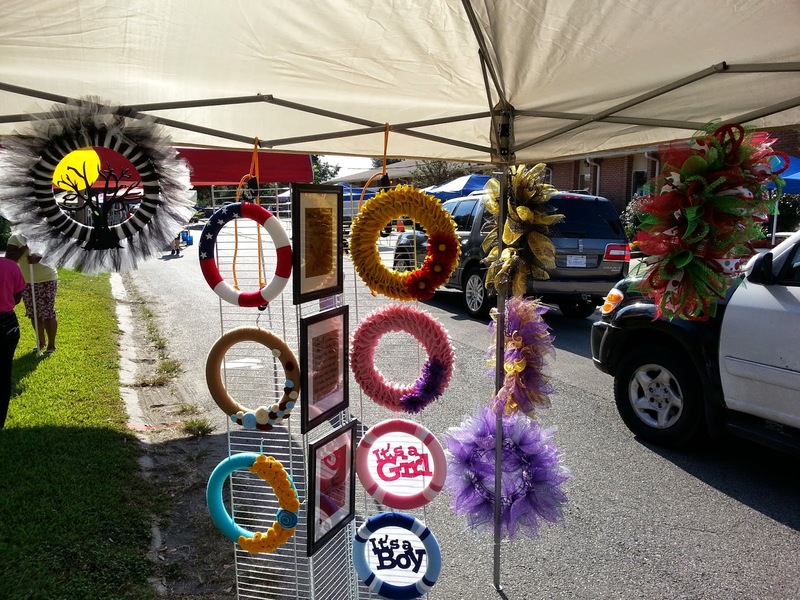 New Orleans Crafts by Design: To Craft Show or Not To Craft Show???? To Craft Show or Not To Craft Show???? To Craft Show or Not To Craft Show??? 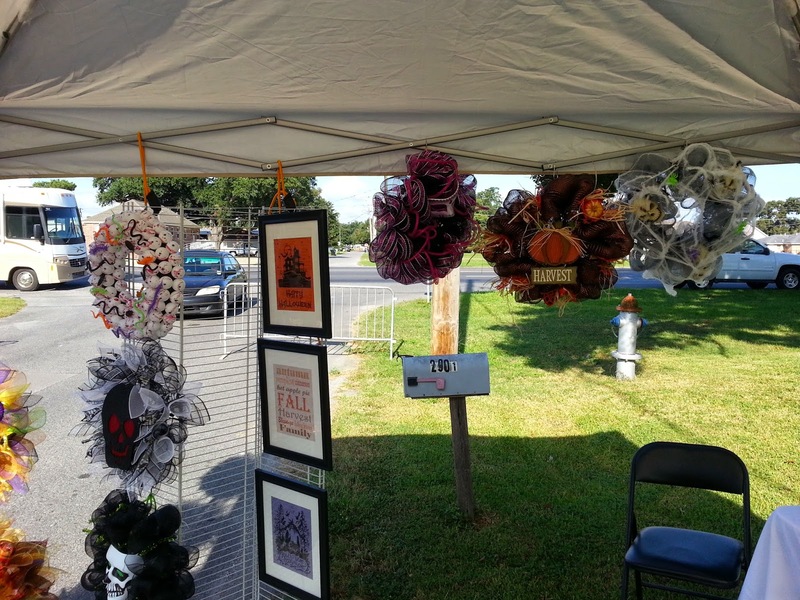 I have participated in I guess 5 or so small local craft shows within the past year. It definitely takes a lot of work and preparation just to get everything ready leading up to the day of the event. It is also quite a demanding task the day of the event having to load and setup and breakdown and then unload all of my supplies and crafts. Now, I guess it wouldn't be that big of a deal if I actually had a really successful show, but I have not had that just yet. I have made a few sales at some of the events but nothing to make me say that it was amazing....yet I keep doing them from time to time and come home with the same disappointed feeling that I wasted the day. I just recently returned to a show that I made a few sales at last fall. I was excited and hopeful. 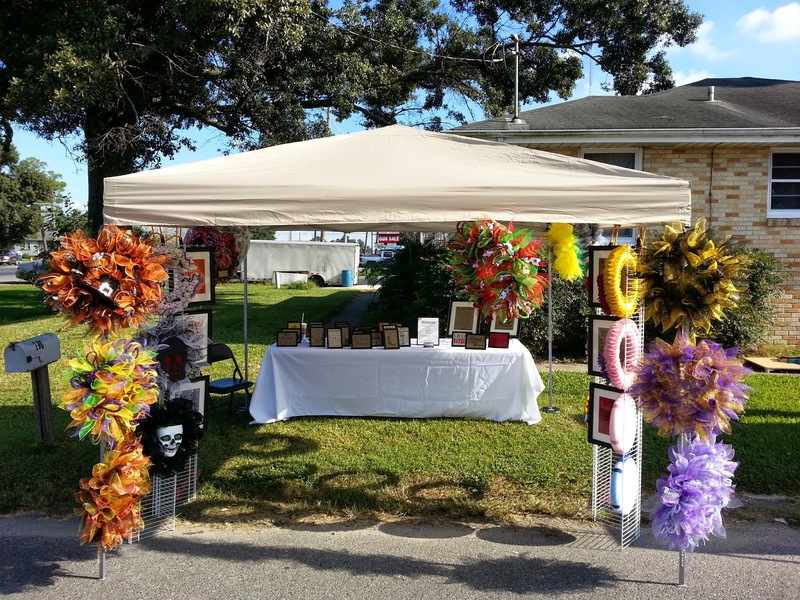 I had a totally new set up and even purchased a canopy so I could totally redesign my display. I also took decided to add additional items to have a varied price point. However, this show was the least successful to date with no sales and barely any nibbles throughout the day. I was completely happy with the way my booth turned out after getting it set up for the first time. To me, it seemed open and inviting and not cluttered or messy at all. It wasn't enough to bring in the shoppers. So, I am going to have to think long and hard about whether or not I will attempt to do another show in the future. Maybe I am just choosing the wrong shows for my products and price points. I don't feel like I should have to change or lower the prices on my Handmade Items to fit the crowd or the location. To me, I would feel like I am cheapening my brand. Maybe I am just crazy and expect too much....I don't know. If anyone has suggestions or tips or anything they would be greatly appreciated.